I realised, as I planned out potential posts to see whether Blogtoberfest was a thing I could do (31 posts? Where on earth was I going to find enough time to make enough projects to make it happen? ), that I have yet to blog about not one, but two charm swaps I’ve been involved in this year. It took me a while to decide to join in the first, as tempted as I was. Run by Ms Midge, the swap involved sending off 56 charms of two different fabrics, and receiving back 112 mixed charms (for those not up on quilting lingo, a charm is a 5×5″ square of fabric). The first swap was for fabrics by Kate Spain. 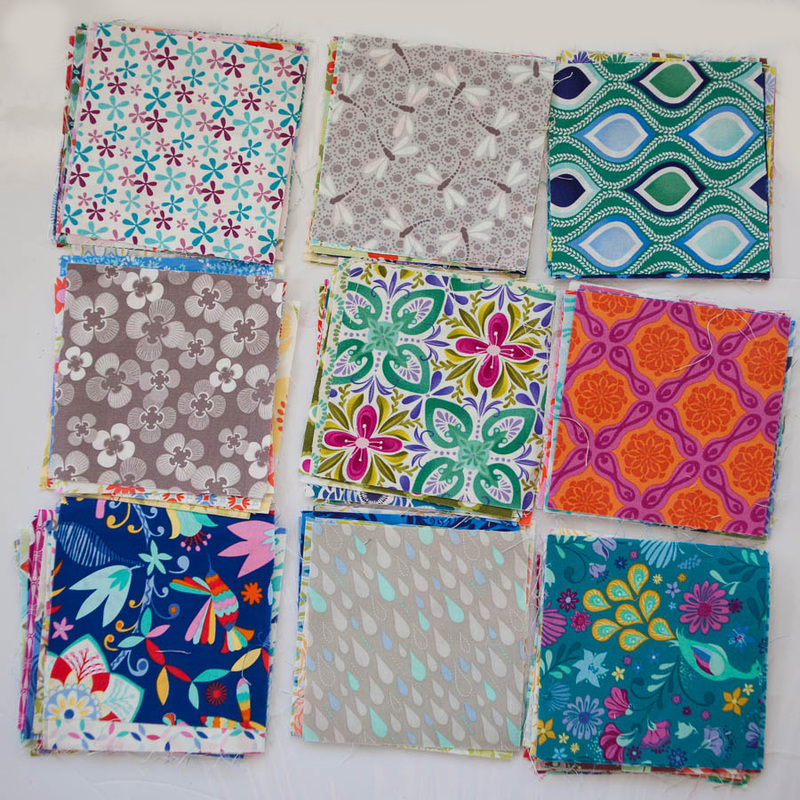 Anyone who has known me for very long, knows I adore Kate Spain fabrics (exhibit A – the effort AJ went to, to base Beetle’s absolutely stunning birth quilt on KS fabric, including dipping into her own stash and sending out fabric to the other participants). So I ummed and ahhed and checked my craft budget and online window shopped and went around and around until the call went out for one final space in the swap, and so I bit the bullet. And man am I glad I did. Look at this prettiness! So when Melissa put out the call for her next charm swap, AND announced it was my other favourite designer, Bonnie & Camille, I was in like a shot – and lucky too, that swap filled up a lot quicker, without any leeway for dilly-dalliers! Aside from a wee issue of thinking I’d not ordered enough fabric (before realising I really did have enough – a realisation that happened after publically showing what a goose I am in the swap group on Facebook *facepalm*). Again, a big pile of lovely is now sitting in my charm drawer, waiting for me to decide what I should do with it. Two very different bundles of fabric, but I love them both! I’m not normally a fabric stasher, rather I tend to buy as I go, and so I decided to sit out the current swap of Amy Butler charms, but looking at all the pretty photos popping up on Instagram, I’m kind of sad I didn’t – but also glad, because the pressure of what to do with these two stacks is getting to me! 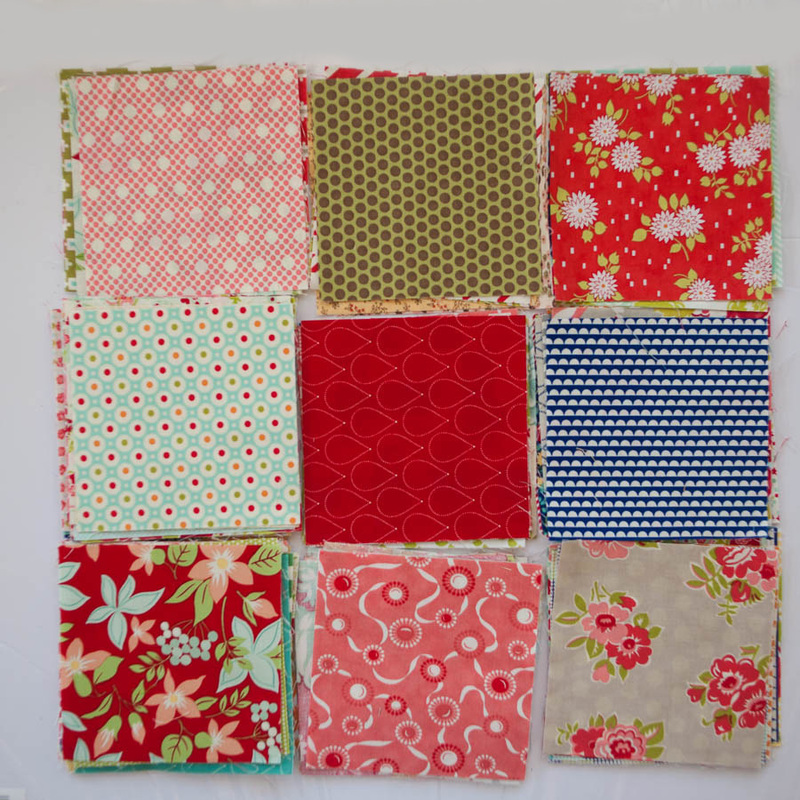 I think I need to do some more thinking on it – I’m leaning towards a quilt with the Kate Spain, and then maybe a few smaller projects with the Bonnie & Camille… I don’t know. Help me out? What are some great charm projects you’ve come across? What about making some cute coordinated craft room stuff? Ie: sewing machine cover, craft tote, yarn basket, pin cusion, sewing machine mat, fabric storage boxes etc? I LOVE B&C. LOVE LOVE LOVE. Can’t wait to see what you make with it! That’s a good idea! I’m not sure it would work with the colour scheme I have in my studio though… shall ponder on it! I have a gorgeous pattern at home for a bag made out of a charm pack. You could use the squares to make any sort of fabric to make a bag. I saw that on IG, it’s looking cute!